CSKA Moscow kept its perfect record intact after edging Zalgiris Kaunas 99-97 in an overtime thriller on Wednesday night at Megasport Arena. CSKA scored 15 points in the final three minutes of regulation to erase a 9-point deficit and force overtime and then Will Clyburn scored what proved to be the game-winning free throws with 17.8 seconds remaining in the extra session. The victory improved CSKA's winning streak at home to 16 and lifted it to 8-0 on the season. Its 17 overtime victories are also the most in EuroLeague history. 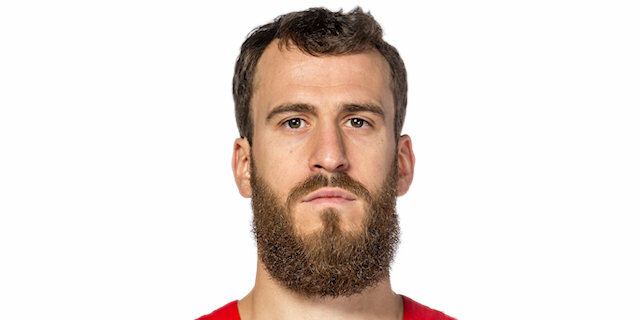 Sergio Rodriguez, who had 3 three-pointers to lead CSKA back in the fourth quarter and tied the game at 86-86 to force overtime, finished with 24 points and 6 assists and in so moved into fifth place on the EuroLeague career assists charts with 979 – which is 2 more than retired CSKA great Theodoros Papaloukas. Cory Higgins scored 23, Clyburn posted 15 points and 13 rebounds, Nando De Colo added 13 points and Othello Hunter 10 for the victors. 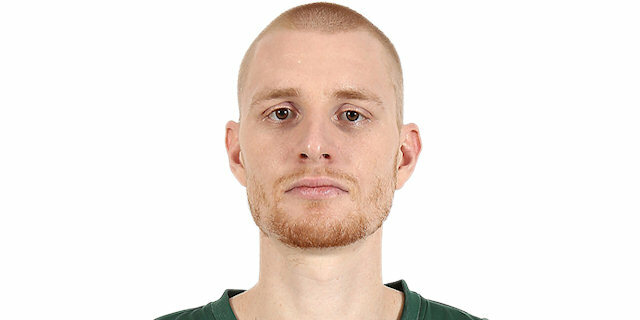 Antanas Kavaliauskas scored 19 points and grabbed 8 rebounds to pace Zalgiris, which lost on the road for the first time this season and saw its record drop to 3-5. Zalgiris also lost its 11th straight EuroLeague game against CSKA in Moscow. Nate Wolters tallied 14 points and 9 assists; Aaron White, who was making his first start of the season – and third of his career – in the place of the injured Paulius Jankunas, and Marius Grigonis netted 13 points apiece and Leo Westermann scored 11 against his former team. Zalgiris scored the game's first two baskets, but CSKA grabbed its first lead at 7-6 on a Clyburn jumper. Westermann banked in a triple from midcourt and followed that with a second three as the visitors went ahead 14-18. De Colo free throws drew CSKA within 16-80 after 10 minutes. Arturas Milaknis connected from downtown to put the visitors up 5. Joel Bomboy dunked just seconds into the start of his CSKA career thanks to a pinpoint pass from Rodriguez. The point guard soon tied it at 25-25 with a step-back three-pointer and a De Colo layup put the hosts ahead. The lead changed hands several more times before the halftime buzzer with Wolters nosing the visitors in front 37-38 at the break. Wolters heated up with a trio of assists and a pair of baskets to match the CSKA scorers and keep Zalgiris narrowly in front. Hunter shined with a brilliant one-handed alley-oop slam that tied the game at 49-49, but soon after he committed an offensive foul – his fourth personal foul – and took a seat on the bench. De Colo heated up with a layup off a Clyburn steal and a pair of free throws to push CSKA ahead 55-54, but Zalgiris finished the third quarter strong and led 59-60. White drilled a three to start the fourth quarter, but soon the visitors found themselves in foul trouble as both Brandon Davies and Thomas Walkup were whistled for their fourth, each. Bolomboy converted a three-point play to tie the game at 67-67 with seven minutes remaining. Zalgiris took charge with a 0-8 run in which Grigonis had a tough drive and then an assist on a Westermann three. A Grigonis triple from the top of the key with three minutes to go made it 71-80 and resulted in a CSKA timeout. CSKA regrouped through Rodriguez triples and Clyburn free throws to enter the final minute trailing 81-84. Rodriguez then drained his fifth triple of the game to tie it with 43.3 seconds to go. After Wolters and Rodriguez traded layups from penetration, the game went to overtime at 86-86. Higgins scored first in the extra session, but the lead would switch sides several times over the next few minutes. Rodriguez drilled a step-back three with 1:07 remaining to put CSKA up 97-94. After Kavaliauskas tied it from the line, Clyburn nudged CSKA ahead with a pair of free throws with 17.8 seconds to go. Zalgiris had the final possession in which Wolters missed an open three-pointer in the closing seconds and CSKA celebrated a hard-fought victory. After Marius Grigonis sank a three with 3:02 remaining in regulation to make it 71-80, CSKA called timeout and knew that it had little margin for error if it were to get back in the game. CSKA would not err; the Russian champs scored on each of their next six possessions with Sergio Rodriguez leading the way with 3 three-pointers and a layup. He twice tied the score to eventually force overtime. Two stats standout in explaining how CSKA managed to win a game in which it was outrebounded 33-42. CSKA intimidated Zalgiris's scorers in the paint with 5 blocked shots (compared to 1 for Zalgiris). There were several other would-be blocks that did not count, whether because they were called as fouls or in one case credited as a steal and ultimately planted a seed in the Zalgiris players that effected shots all game long. Although history may not focus on the contributions Joel Bolomboy made to the victory, the boost he provided in his 16 minutes off the bench cannot be overlooked. Moreover, the prospect of the high-flyer, who seemed to have great chemistry with Sergio Rodriguez, is a good sign for CSKA going ahead. 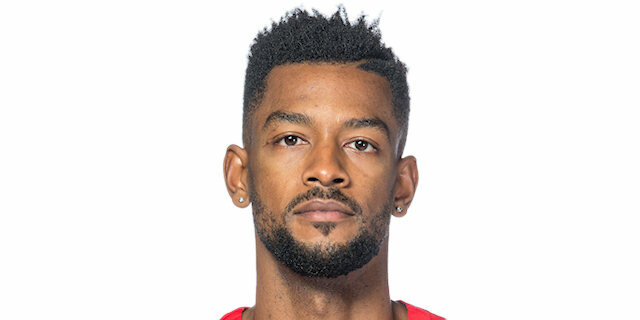 Bolomboy was strong inside with most of his points coming through dunks, which CSKA fans can get used to seeing more of. CSKA will put its perfect record on the line on Friday when it visits Montenegro to take on Buducnost VOLI Podgorica. Zalgiris returns home to face Khimki Moscow Region. "I am very happy for the victory and the way it came. I am very proud of my players. Big congratulation to them. It was not one of our smoothest, brilliant offensive days, or defensively. We did have a lot of struggles. We dug a lot to find the right rhythm. I think the most important thing is that we kept believing that the way we choose is going to be the right way. We had an amazing performance from individuals; for sure Chacho [Rodriguez] showed us the way, Will [Clyburn], Cory [Higgins] and everybody over there. Joel [Bolomboy] when he came in. So that's a team victory. It's a good example for us to work more and more." "Congratulations to CSKA and to Dimitris. They were a little bit smarter. We didn't manage to finish the game even though we had it under control. We played better for most of the game, and at the end, we couldn't finish it off, which is our problem this year. The positives we have to take is that with a young team and with new players we are staying with the best teams in Europe for most of the games. And we just have to learn how to win at the end, because this is a process." "It feels great now because somehow we found a way to get the win. We obviously didn't play our best game, but we showed something with our character, we never gave up, we just kept battling and thankfully we came out with the win. We have so many leaders on this team and so many options. On any given night it can be somebody else. I'm very tired. It was a battle, it was a fight. We gave everything we had. They're a very physical team." "Great win. I think this kind of win will push up our confidence. But still we did not very good things during the game. We have to be better. It's still November. This is the way we have to be. We know it's a long way ahead. It's a marathon. We are happy we got the win against a very good team. I am very comfortable with my teammates, with the team. We have confidence. One day it will be one, the next day another one. We are working really hard to be better and to be on this stage. Zalgiris has been doing things very well, especially last year and this year. 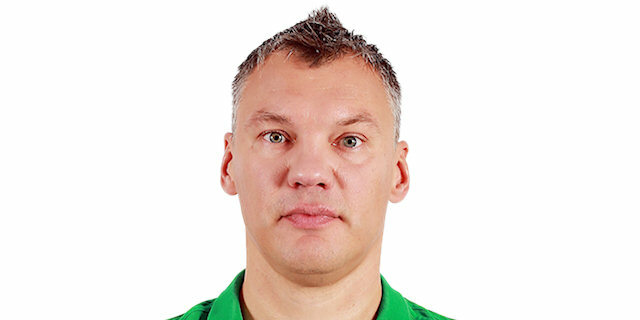 Zalgiris puts a lot of pressure on the things you do things on offense and defense and you have to be very focused." "We had the game in our hands but they hit some big shots in the last minutes. It could have gone either way and we gotta learn from it. We did a lot of good things. We drew many fouls in the paint but we played against a really good team."